« Farmers Insurance: Stag Pool Party! …payback, they say, is hell. 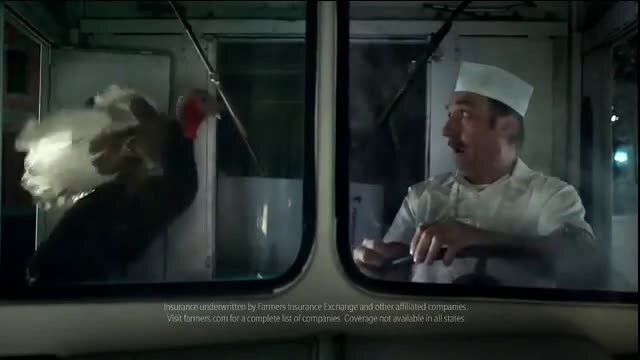 We then cut to an exterior shot of the disabled truck, with a mob of turkeys descending on it. 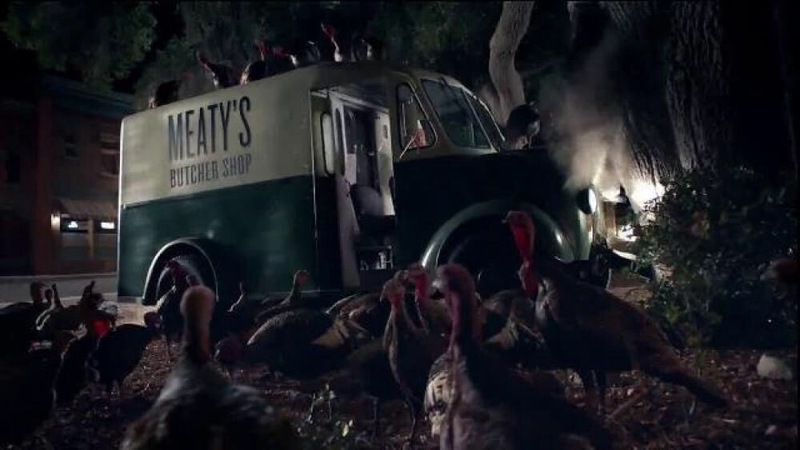 There is strength in numbers, and the delivery truck rocks from side to side as the turkeys administer their own brand of justice to one of their oppressors. It’s reminiscent of a scene in the first Jurassic Park movie where a throng of diminutive dinosaurs overwhelm and dispense with an especially obnoxious character in his vehicle. This entry was posted on January 12, 2016 at 4:35 am and is filed under animals, anthropomorphic, feathered friends, furry, furry commercials, television. You can subscribe via RSS 2.0 feed to this post's comments. JERRY SEINFELD) was killed by a half-grown Dilophosaurus. It wasn’t until THE LOST WORLD: JP that Spielberg used the CGI chicken-dinos. (technically known as “compsognathii”). Actually, that happened in the book. In the movie, ex-Newman (from JERRY SEINFELD) was killed by a half-grown Dilophosaurus. It wasn’t until THE LOST WORLD: JP that Spielberg used the CGI chicken-dinos. (technically known as “compsognathii”). I knew that I had remembered that scene from some point in the series, but confess it’s been many moons since I read the book. P.S.—Sorry for the duplicate post. Some kind of uploading glitch.